Shanel is a qualified Registered Yoga Teacher with ten years experience. She trained in 2005 through Cambridge University at Body Primo Studio, England. Shanel will offer morning classes that are Vinyasa in style, featuring a series of flowing yoga postures linked by the breath to detoxify, stretch, and strengthen the body, and to build life force energy for healing and rejuvenation. 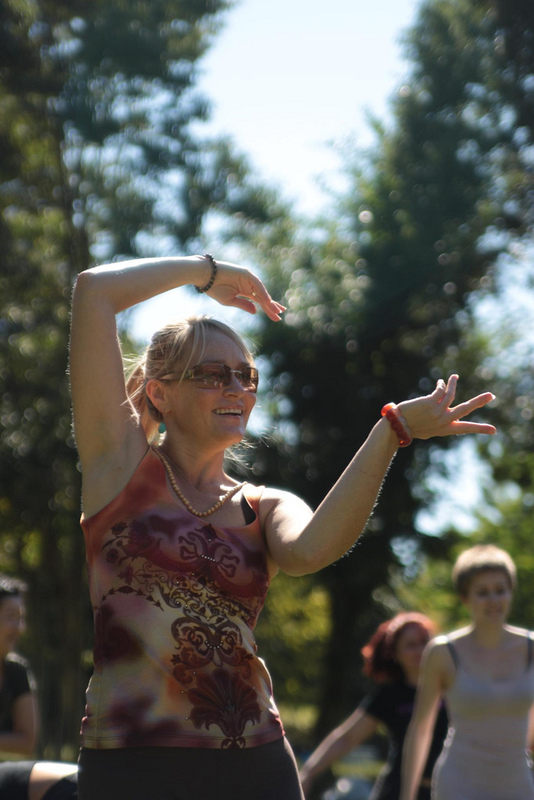 Spin Matsuri participants of any age or level will be able to access these classes where Shanel will confidently cater for individual health considerations, and get the inner spin spiral ignited! モーニングヨガ Shanel teaches two yoga sessions during Spin Matsuri – Sunday and Monday at 7:30 am.